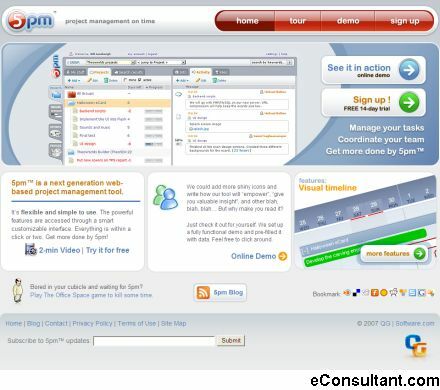 Description : 5pm is a web-based service for managing projects and tasks. The unique dual-panel interface takes advantage of your screen size. Simple project/task tree navigation – on the left, anything relevant to it – on the right. All functions within a click or two.